Anyone that's ever stood under the gentle, emerald-covered limestone of giant Ben Bulben immediately understands why poet W.B. Yeats wrote about the mountain and stipulated that he be buried beneath it. 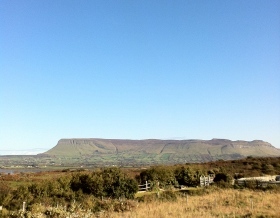 This lofty, 320 million-year-old peak is like Co. Sligo itself: quiet, beautiful, unusual and misunderstood. Yeats’ grave stands unperturbed, just where he foretold it in the famous poem, “Under Ben Bulben”: on the grounds of St. Columba's Church in the tiny village of Drumcliff. 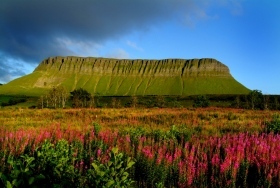 If you are up for a challenge you can climb Ben Bulben. With your back to Sligo Town and looking north directly at Ben Bulben you need to head towards a dried out river bed roughly in the middle. The climb takes about two to two and a half hours and if it is a clear day you will have a spectacular view of counties Sligo, Donegal and Mayo. 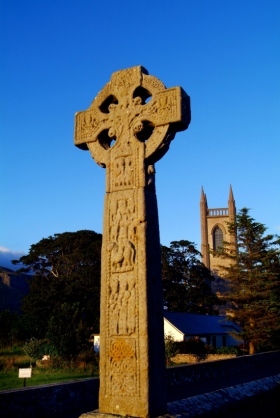 Monastic sites are all over Ireland, but beautiful Co. Sligo has an inordinate number of them. 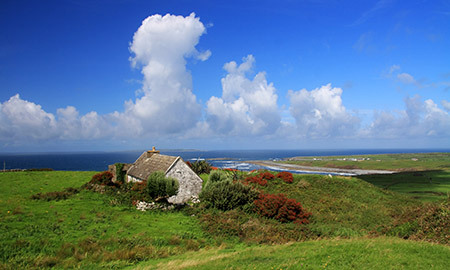 It's not difficult to imagine why early monks and religious people flocked here – the spirituality is almost palpable among the lumbering mountains and soft seacoasts of Sligo. You’ve undoubtedly heard of Newgrange, but what about Co. Sligo's Carrowmore? Not only is it the largest megalithic site in the country, with an impressive 60-plus tombs, but it also pre-dates Newgrange by some 700 years. Horseback riding, fishing, cycling and golf are, of course, favourite activities in Co. Sligo, but surfing is particularly good here, especially along Strandhill. 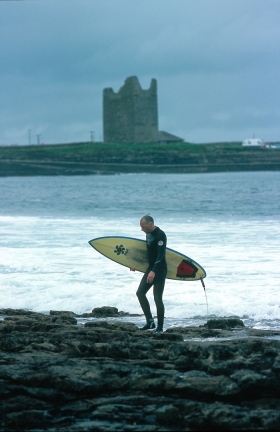 This long sandy beach west of Sligo Town is noted for its erratic currents and big swell, which makes surfing here challenging and even a little dangerous. The village itself is home to a cute strip of shops, pubs and bed and breakfasts. 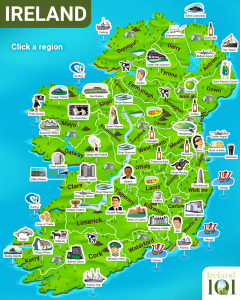 There are a number of great day trips you can take from Sligo Town along the coast. 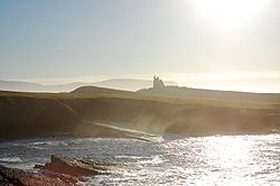 One of the best is Mullaghmore which is a small coastal village which became infamous for the IRA murder of Lord Mountbatten, uncle of Prince Charles, Duke of Edinburgh, in 1979. Putting aside the greusome nature of that event the village itself is beautiful with Mountbatten's summer house acting as a stunning back drop to the town. Traditional Irish music has a long history in Sligo and is still practiced in pubs and music centres all over the county, so it is a great place to visit if you want to take in a real trad session. Summer lunchtime trad concerts are held at the Yeats Building in Sligo Town on weekdays in July and August, while pubs like Foley’s on Castle St. host regular weekend sessions. Some great old man pubs include Shoot The Crows and Connolleys. The Glass House and the new Source wine bar are great for a fancier drink! W.B. 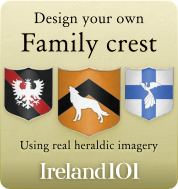 Yeats wasn't the only famous Sligo son. 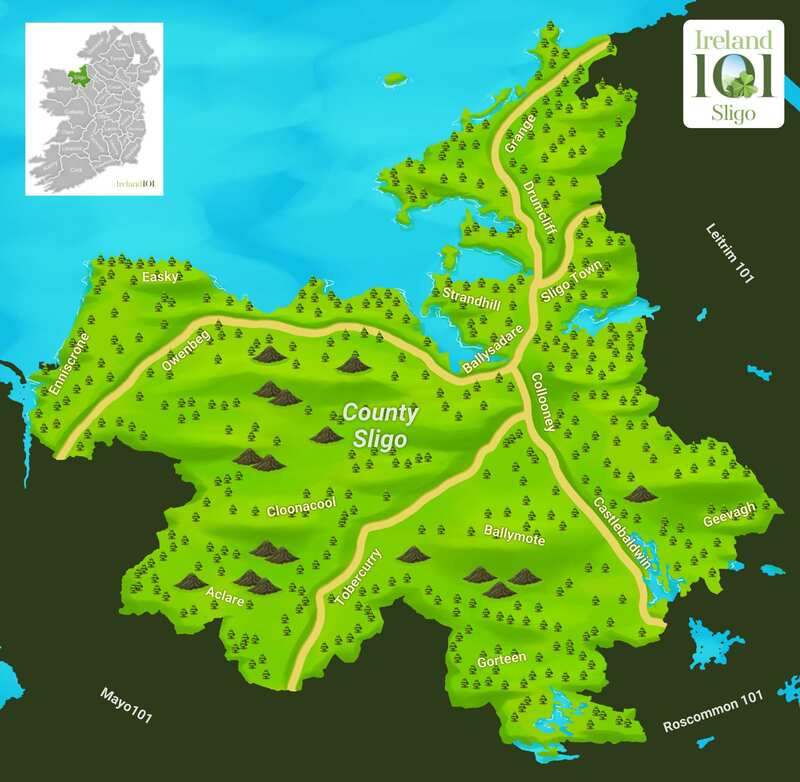 The county was also the birthplace of one of Ireland's most celebrated film directors, Neil Jordan – most famous for The Crying Game and Interview with a Vampire, and it spawned the country’s most beloved and embarrassing boy band, Westlife. 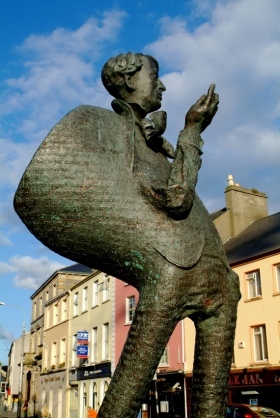 The poet W. B. Yeats is associated with Sligo. Much of his writing is descriptive of the area around Sligo town. 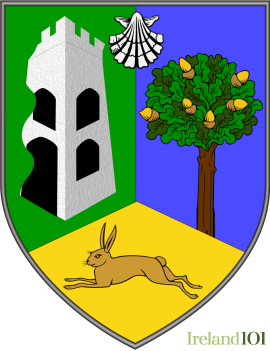 Drumcliffe translates as ridge of the baskets, sometimes known as Drumcliff, is a village in County Sligo, Ireland. 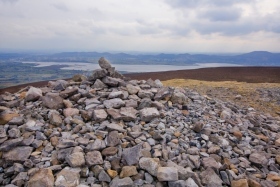 Knocknarea Mountain is situated 4 miles west of Sligo Town, in the area of the Strandhill Peninsula, this breathtaking mountain is 1078 feet high. 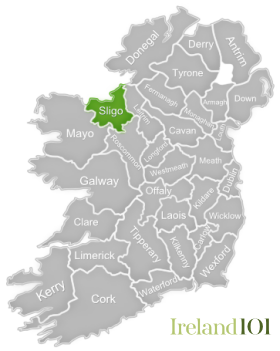 How much do you know about Sligo ?